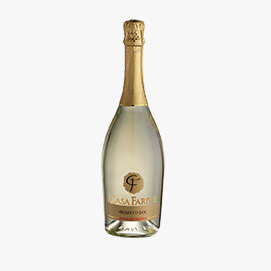 The Prosecco family of Casa Farive brand includes the Prosecco Superiore DOCG in the nelle Brut and Extra Dry varieties, the Prosecco DOC Brut and Millesimato Brut, the DOC Extra Dry and the DOC Treviso Frizzante. The Prosecco Superiore DOCG is a sparkling wine made exclusively in the Conegliano and Valdobbiadene area. The Prosecco DOC is produced in a territory which includes 9 provinces in Veneto and Friuli Venezia Giulia regions. According to the different sparkling level – strong, delicate or none – the Prosecco can be “spumante”, “frizzante” or “tranquillo”. The terms “Brut”, “Extra Dry” and “Dry” defines the lower/higher content of sugar. The term “millesimato” is assigned to the wines produced with grapes of the same year of harvest (called also “millesimo”) to distinguish them from the ones made with mixed grapes coming from different vineyards and years (cuvée). This Valdobbiadene Prosecco Superiore DOCG wine is perfect as an aperitif, or to be served in combination with light dishes. Fine and persistent in perlage, at the nose it is pleasantly fruity, with notes of ripe golden apple and delicate hints of white flowers. At the palate it is a fresh, soft, full-bodied wine, with and harmonious finish. At the happy hour there is nothing better than a good Prosecco. This Valdobbiadene Prosecco Superiore DOCG wine, made exclusively from Glera grapes, is perfect to cheer up your aperitifs, with its fresh, soft taste, on a savory and harmonious finish. Also perfect to be paired with dishes of fish marinated with herbs. Made with 100% Glera (Prosecco) grapes, this sparkling wine combines a fruity and floral bouquet, characterized by notes of ripe apple and small flowers, with a dry, savoury and fresh taste, with a harmonious and fruity aftertaste. Excellent as an aperitif, the perfect match is with steamed shellfish. 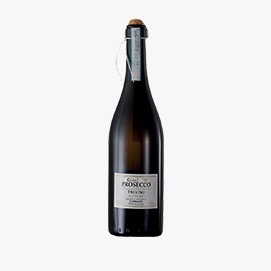 Prosecco DOC Extra Dry: the perfect wine to enhance the flavour of shellfish, to be served with appetizers, or to enjoy at the happy hour. A dry wine, with fresh and fruity taste, which gives the palate a harmonious and fruity aftertaste, combined with the pleasure of a rich bouquet of fruits and flowers, where scents of ripe golden apple and wild flowers dominate. 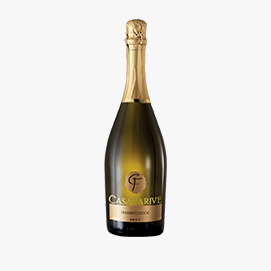 From 100% Glera (Prosecco DOC) grapes, with a fine and persistent perlage, this Spumante Brut wine seduces with its fresh, dry and sapid flavour, with a pleasant harmonic and fruity aftertaste. Let this wine captivate you with its fruity aroma of ripe golden apple in its happy marriage with hints of flowers of the field. A Millesimato DOC Brut with fresh, fruity, dry flavour, with a pleasant harmonious and fruity finish. The fruity characteristic is also present at the nose, with hints of white flesh fruits, where apple dominates, and hints of white flowers. It is excellent as an aperitif and throughout your meal, especially in combination with light dishes and fish.